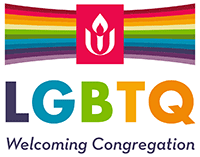 Central Unitarian Church welcomes us on Sundays. It educates our kids in religion and morality. It offers us friendships and a chance to do good in the world. But is that all the church is to us? Church Member Rab Bell explores how commitment to the congregation can change our lives, if we let it, in his sermon “How to Get Committed” this Sunday morning. Susan Gempler is the Worship Associate. Matt Anderson, Director of Music, accompanies. Ruth Viera is the Welcome Host. Children and teachers join us for the beginning of the service before the 10:45 Sunday School classes. Coffee and conversation follow the morning programs. Bring nonperishable food donations for our monthly collection for the Center for Food Action. A Meeting of the Congregation begins at noon. All voting members are urged to attend.